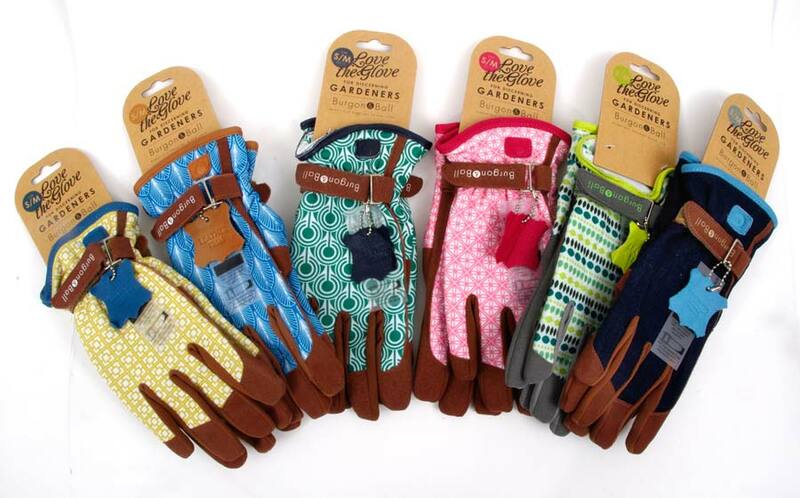 Bringing together fashion and function, Love The Glove is a stunning collection of technical, high performance gardening gloves. 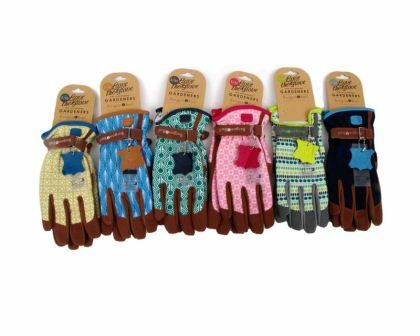 The Love The Glove collection, is a great combination of ultimate functionality and beautiful styling. 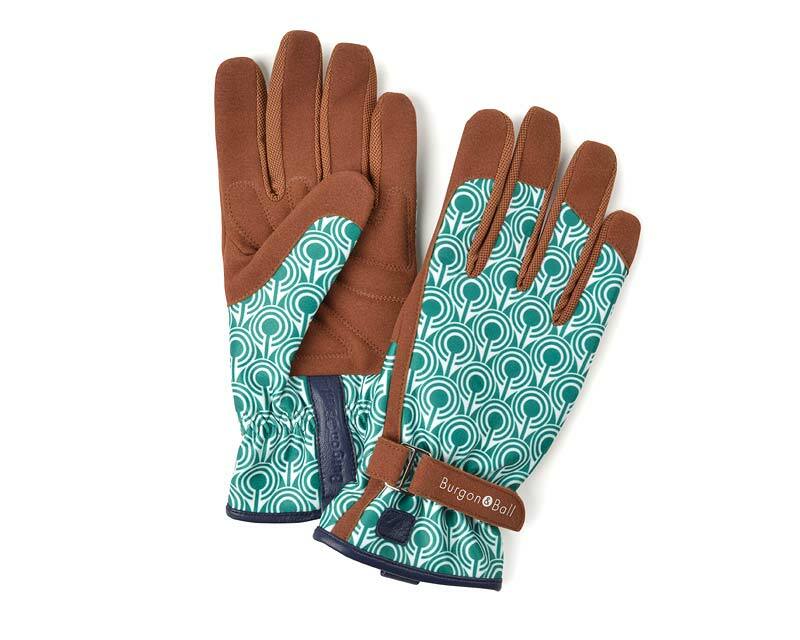 Here is a range of elegant yet practical gloves that any gardener would be delighted to wear. 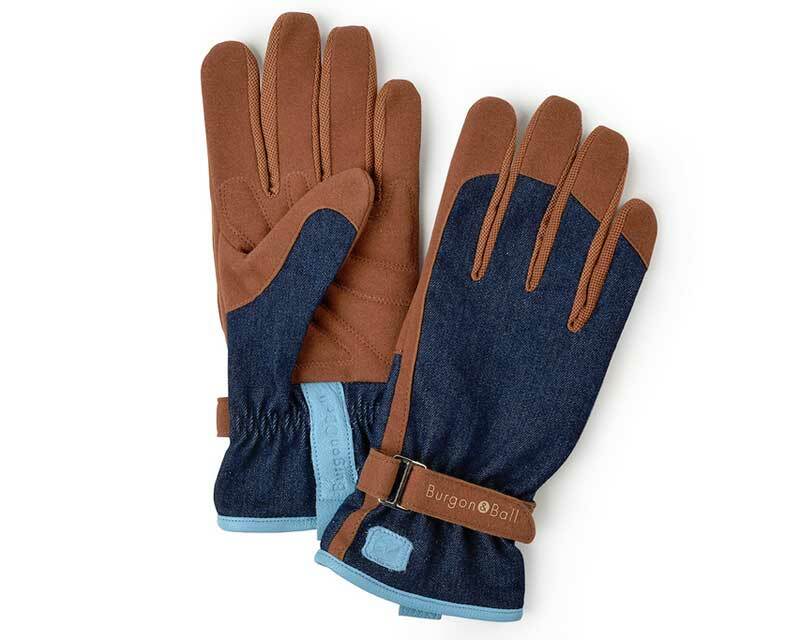 Burgon & Ball’s New ‘Love The Glove’ collection draws its inspiration from the famous haute couture fashion houses of Europe. While on a practical note the collection features advanced two way stretch, breathable mesh and ultra soft, yet hard wearing cushioned fabric. 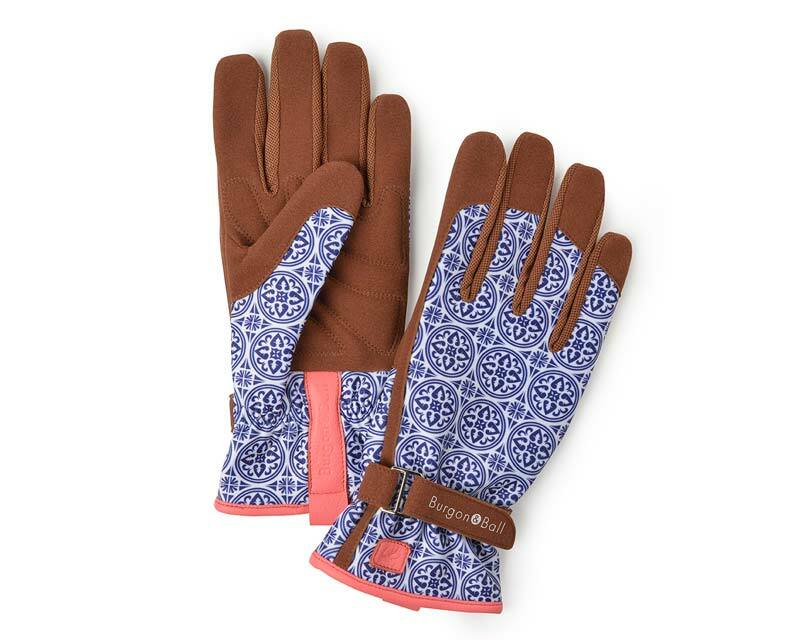 Offering gardeners both the comfort and dexterity required for the everyday gardening. 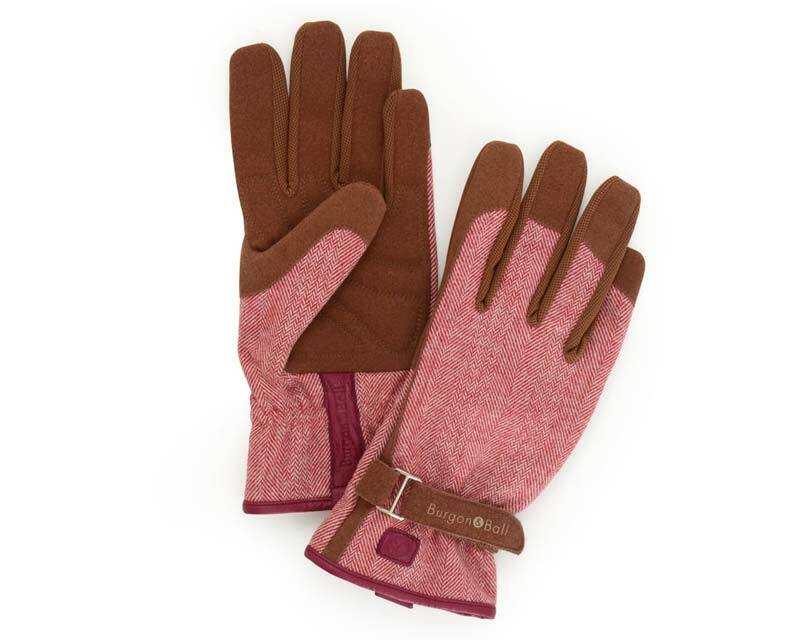 * Ultra-soft feel, yet hard-wearing fabric that doesn’t stiffen after drying. 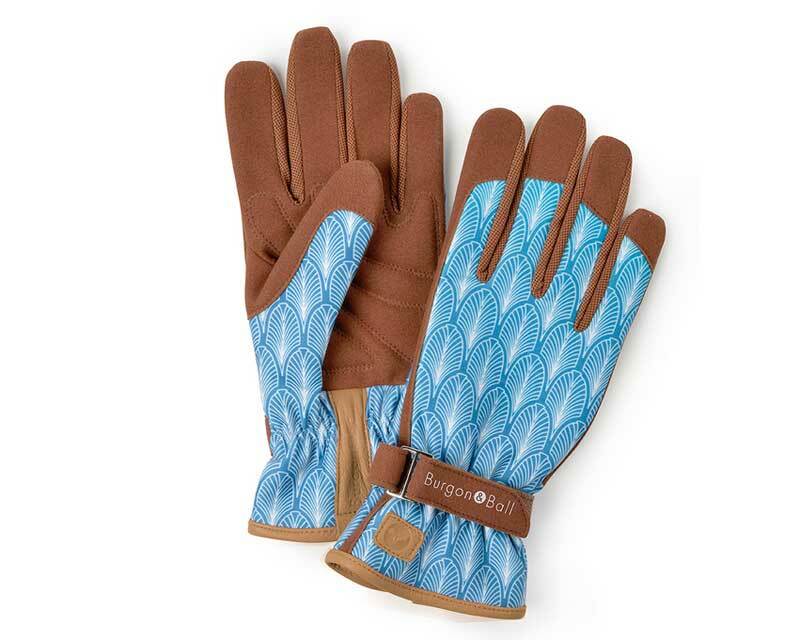 * Stretch mesh between fingers regulates hand temperature & improves dexterity. 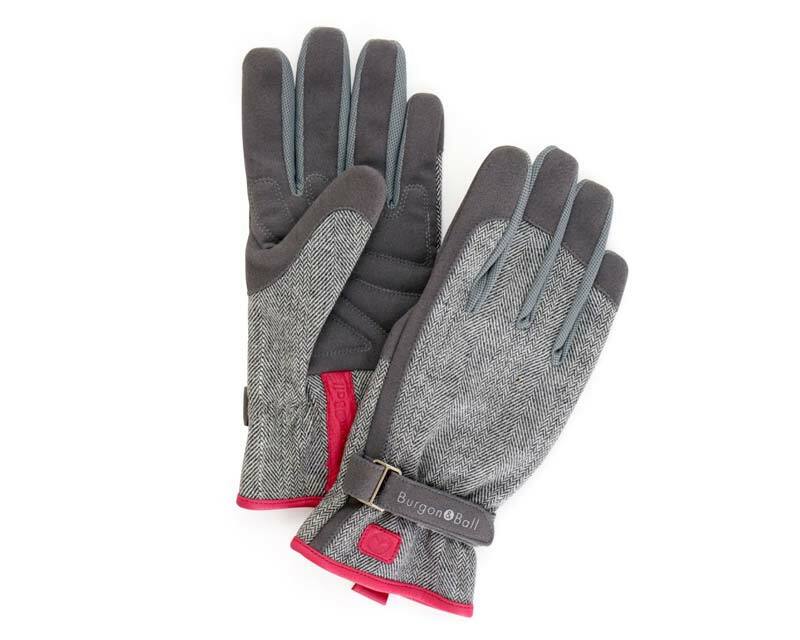 * Wrist strap provides snug fit and stops debris dropping into glove. * Padded palm gives extra cushioning. * Decorative genuine leather trim. * Available in 8 designs.